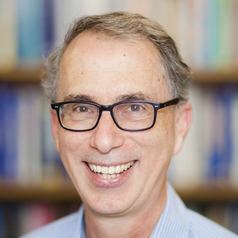 David Karoly is Leader of the Earth Systems and Climate Change Hub in the Australian Government’s National Environmental Science Program, based in CSIRO. He is also an honorary Professor at the University of Melbourne. He is an internationally recognised expert on climate change and climate variability. He is a member of the National Climate Science Advisory Committee. During 2012-2017, he was a member of the Climate Change Authority, which provides advice to the Australian government on responding to climate change, including targets for reducing greenhouse gas emissions. He was involved in the Assessment Reports of the Intergovernmental Panel on Climate Change in 2001, 2007 and 2014 in several different roles. He was awarded the 2015 Royal Society of Victoria Medal for Scientific Excellence in Earth Sciences. From 2007 to February 2018, David Karoly was Professor of Atmospheric Science at the University of Melbourne and in the A.R.C. Centre of Excellence for Climate System Science.